I decided to develop this site as most of my green man photographs were buried on the pages for the individual churches and as such could not easily be found. By placing them here on a site of their own it makes studying them much easier. 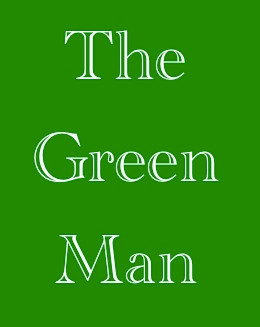 It is not intended to be an exhaustive list of sites but merely a collection of photographs of those green men I have visited and thought worthy of a photograph. Information about the churches in which they were found used to be available on my main web site but there have been some recent changes that have meant I have had to remove these at present. I may add them to another site in the near future. There are many theories as to the origins of the green man and the reason he appears so frequently in churches. I don't intend to discuss this on this site but would direct you to books listed in the bibliography and to other sites on the internet which devote much energy to those questions. Suffice it to say he appears in a similar guise in many countries of the world, he is sometimes jovial in appearance and at others he looks frightening. Some of the older types of green men look very different from the foliate heads we know today.